Doctors tend to recommend minimally invasive surgery for younger patients and those who are of normal weight and healthier than those who are candidates for traditional hip replacement surgery. 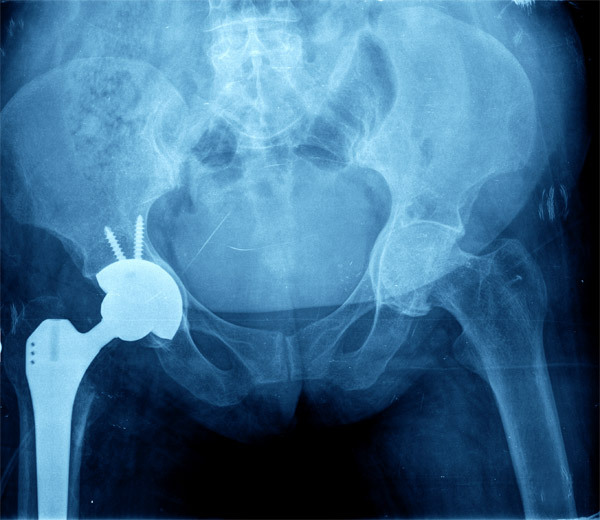 Regardless of which type of surgery you have, the artificial joint will consist of two basic parts: a ball made of highly polished strong metal or ceramic material and a socket made of plastic, ceramic, or metal. The ball attaches to the top of the thigh bone, or femur; the new socket attaches to your pelvis. These components come in two basic varieties: cemented and uncemented, which refers to the way the parts are attached to your existing bone. Surgeons fasten cemented parts to existing, healthy bone with a special glue or cement. Uncemented parts rely on a process called biologic fixation to hold them in place. This means that the parts are made with a porous surface. Over time, your own bone grows into the holes in the joint surface to secure them. Sometimes surgeons use an uncemented part for the socket and a cemented part for the femur. This combination is called a hybrid replacement. Studies show that cemented and uncemented joints are similarly successful; however, doctors usually use cemented joints for older, less active people and people with weak bones. Uncemented joints are often reserved for younger, more active people. The main disadvantage of uncemented joints is a longer recovery time because it takes time for bone to grow into the surface of the replacement part(s). Also, recovery may be more painful as bone grows into the prosthesis.